Looks:Blonde hair, a part tied upward and some covering one of his eyes. He has a blue ring around the pupil of his eyes. 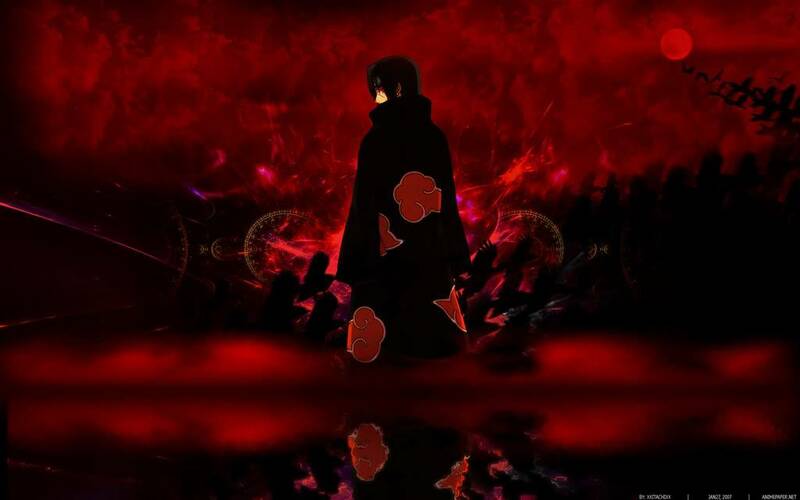 Under his akatsuki cloak he wears a black shirt and black pants. Personality: Quick to anger and annoy, Deidara was a very hot-headed man. Something of a sadistic arsonist, he was not above relishing a good fight, and he often blew up his opponents in a very brutal fashion. Deidara's most distinctive trait, however, was his love of art. He would respect any form of it, even if it disagreed with his own. Deidara also had a habit of ending his sentences with nasal "hmm" or "un" sound, roughly translated as "yeah". 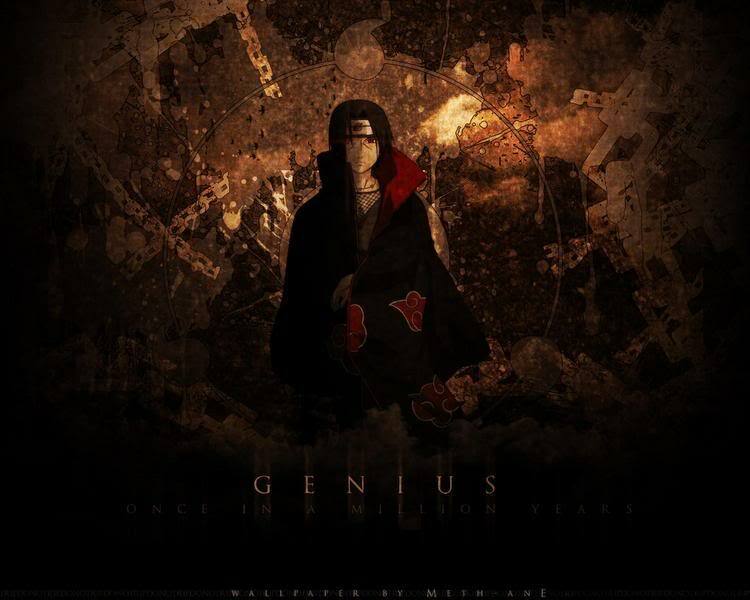 Deidara referred to his explosive ninjutsu as art, believing each bomb he made to be a significant accomplishment. He referred to his style as superflat (refering to certain types of art), and claimed pop (another art style) is dead. One of Deidara's catchphrases, "Art is a bang!" (or variations therein), was originally coined by famous Japanese abstract artist Tarō Okamoto (several of Deidara's explosives have resembled Okomoto's works too). Deidara was very proud of his art, to the point that he was simply unwilling to accept that anything could defeat it, leading to frequent overconfidence in battle. Deidara referred to his partner Sasori as Master Sasori (サソリの旦那, Sasori no Danna) out of respect for him as a fellow artist. He also admitted, at least outwardly that Sasori was more powerful than he was due to the respect he had for him. In spite of this, Deidara wasn't above goading his partner, and they frequently squabbled over the nature of true art (Deidara holding that art is transient and departing quickly; Sasori believing fine art is something wonderful that's left long into the future). 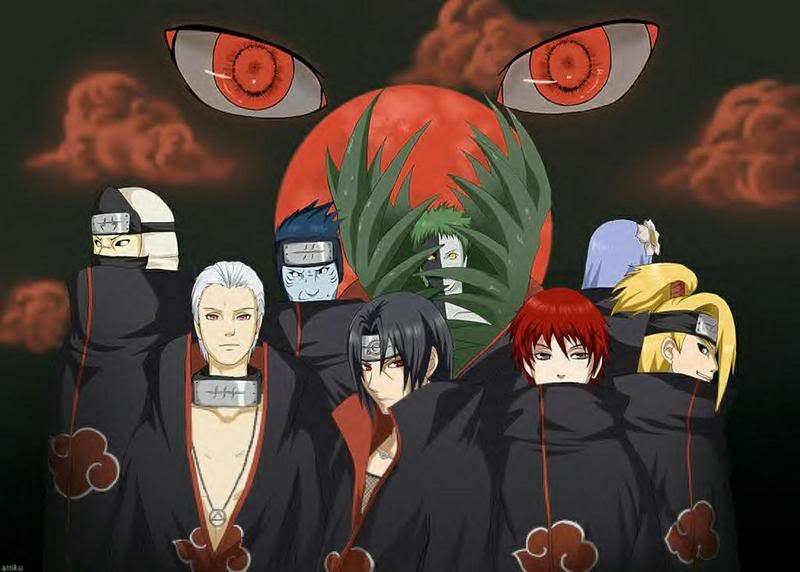 This reflected their individual natures (Deidara made clay sculptures that explode; Sasori made long-lasting puppets out of humans). Deidara outwardly seemed to respect Sasori's beliefs, but couldn't resist getting a final jab in after Sasori's death. Deidara's partnership with his second partner Tobi, however, was very different. Tobi apparently held a great respect for Deidara and frequently called him "senpai" (senior). Tobi's carefree and goofy personality did not please Deidara, who believed that all Akatsuki members should be serious and calm. Tobi frequently and unintentionally angered Deidara, which usually resulted in him attacking Tobi in a comedic fashion (e.g., blasting him with his exploding clay or strangling him with his feet). In battle, however, the two easily set aside their differences and worked well together. Deidara also seemed to have a minor respect for Tobi, as shown when he apologized to his partner in his thoughts before he initiated his Self-Destruction.